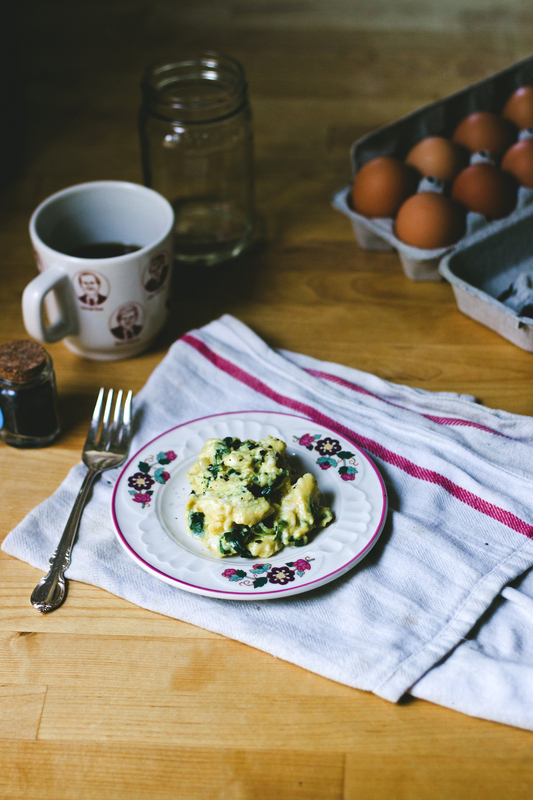 this morning: soft scrambled eggs with ramps and charcoal salt. does it get more obnoxious than that? other than the fact that i styled my breakfast and took a photo of it? oh, the exposure on the eggs, oh, ok.
after breakfast #2 of crispy kale, i'll begin packing up little snackees for this afternoon when eggboy and i go on a hike! i'm excited and also nervous, mostly because the last time i went on a hike i wined the entire time and got bad allergies. must pack the benadryl.